If you have heavy or wet soil, carry out any digging now before the ground gets too waterlogged. Rake up dead leaves to make leaf mould (put damp leaves into black bags with ventilation holes and set them aside for about 18 months before using to condition your soil). Tidy borders, clear weeds & cut back any herbaceous plants to the ground that are not needed to provide winter interest. Leave those that will stand well into the winter as they look very attractive with frost, and will also provide a habitat for insects over winter. Leave seedheads for the birds. Mulch your borders with ready-made leaf mould or garden compost. 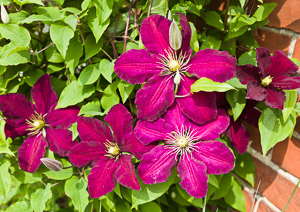 Plant out container-grown trees, shrubs, climbers and roses now (as the soil is still warm and there should be plenty of moisture to get them established). 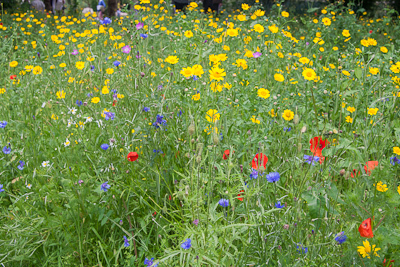 If the weather and site conditions are favourable you can also plant out herbaceous perennials and grasses. 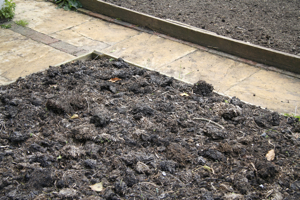 Make sure you prepare the ground thoroughly beforehand digging well-rotted organic matter into the soil. 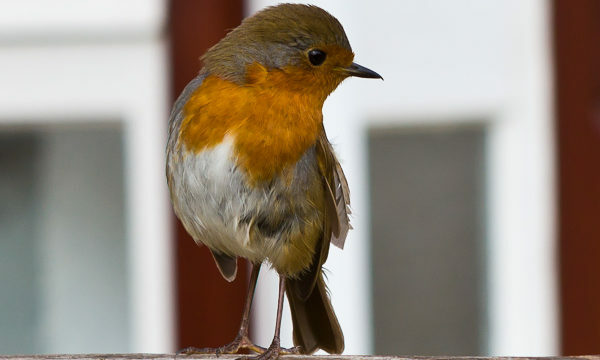 Remove old nests and clean out bird boxes (use soapy water and rinse well). Make a simple insect hotel for ladybirds and other beneficial insects to survive the winter by collecting and drying out hollow stems of plants such as Delphinium, Allium and cow parsley. Cut stems into equal lengths and tie together with twine. Hang the hotel horizontally in a sheltered tree or shrub, or under the eaves of a house. Check that trees are tied securely to stakes to minimise damage in windy weather. Privet hedges can have a final cut for the year. To avoid wind damage over autumn & winter, cut back (by about one third) tall Buddleia davidii and Lavatera. Prune climbing roses and tie in stems and tie in any other climbers that might get blown around and damaged. Cut back overgrown climbers such as Virginia creeper, if necessary and once leaves have fallen. 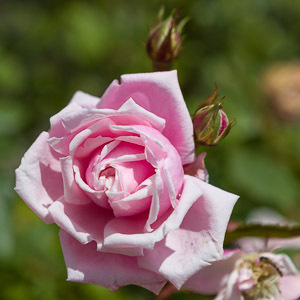 Pick off rose leaves which have blackspot or rust and dispose of any lying on the ground. 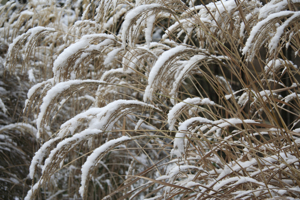 Many ornamental grasses such as Miscanthus sinensis are very attractive over winter and add movement and height to the garden, so don’t cut them down unless they look unsightly or they collapse. Lift tender perennials (such as Salvia, half-hardy Fuchsia, Pelargoniums) and bulbs (Gladioli) and put indoors or in a frost free greenhouse. Move citrus plants and young Olives into the conservatory or glasshouse. Continue to lift and divide overcrowded herbaceous perennials. Plant out biennials eg; Wallflowers and Sweet Williams. Sow sweet pea seeds in the greenhouse or on a windowsill for an early crop next year. 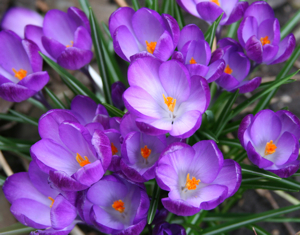 If you haven’t already done so, plant spring bulbs as soon as possible. Leave Tulips until colder weather in November to reduce the risk of tulip fire (a fungal disease). To have beautiful scented white Narcissi in the house at Christmas, pot up Paperwhite bulbs soon in multipurpose compost with the bulb tops just clear of the surface, and leave on a warm sunny windowsill or greenhouse. Lay new turf at this time of year, and sow grass seed if the weather if favourable (moist but not frosty). 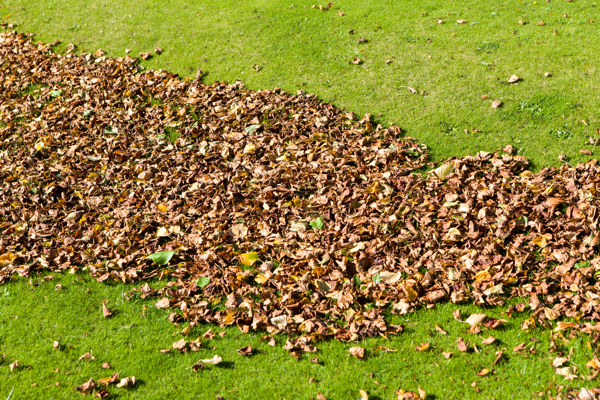 Regularly clear fallen leaves from lawns to stop grass turning yellow. Keep off grass during wet or frosty weather to reduce damage and compaction. Lilies in pots will rot in wet compost so need moving somewhere out of the rain (or cover the pots). Plant up pots with autumn, winter and spring colour. Add a slow release fertiliser so you won’t need to liquid feed in spring. Clear out your pond, cutting down the dead foliage of marginal plants and remove blanket weed. If possible, net your pond to keep leaves from falling into the water. And if you have a Gunnera in your garden, use cut leaves to protect the crowns over winter (adding straw or fleece for extra protection). If you have a water feature in a pot and you’re not sure how frost-resistant the pot is, it might be a good idea to empty it out at this time of year to avoid any damage over winter. Clear the garden of weeds that can act as hosts for pests and diseases. Avoid composting any diseased material as the disease may survive the composting process. Love this post Janet. It’s good to focus the mind and ensure these seasonal duties are all attended to ahead of frosts. It’s reminding me to dig out the hot water bottles and hats for the children too. Glad you found it useful Sarah. A bit depressing to be thinking about water bottles already though!